Background: Head lice infestation is a major global health challenge which greatly affects school-aged children. This infestation has different rate in different regions of Iran from 0.9% to 30%. In spite of the diversity of Pediculosis treatments, it still has a high prevalence in the country and it becomes regularly epidemic. In Iranian traditional medicine, "Squill vinegar" is one of the most effective medicines for the treatment of head lice. The objective of this report is the provision of an effective treatment for patients that are resistant to the treatment of head lice according to the perspective of traditional medicine in Iran. Case Presentation: Ten 12-14 year old female students with treatment-resistant head lice (based on National Lice Care Guideline (2015) used Squill vinegar locally for one week after using permethrin shampoo twice. Examinations were done on 2nd, 7th and 14th days. Two patients were excluded owing to lack of follow-up. Infestation was not observed in 4 patients in 7th and 14th days examinations. In two cases, infestation was significantly reduced (75%) in 7th and 14th days. In all cases, the itchiness was gone. Conclusion: Public interest, proper acceptance on the part of the patient, presence of scientific evidence, easier access and fewer side effects have made medicinal herbs to be the center of attention for many therapists. World Health Organization has also considered the research on medicinal plants with a long history of consumption to be allowed on humans with acceptance of specific directives and criteria. Accordingly, indigenous experiences including long-term use of the plants and "historical-cultural medicine" contexts can be considered as the starting point for such studies. This report stresses the effectiveness of Squill vinegar in the treatment of head Pediculosis resistant to treatment and recommends its implementation in school health units. Head lice infestation which is caused by “pediculus humanis var capitis” is a global health problem which greatly affects school-aged children. Different effective factors are associated with head lice such as social, economic and cultural level, population density and resistance to drug . Evaluation of individuals with head lice has revealed that psychological distresses occur in these individuals along with physical symptoms which is important particularly in children . Psychiatric adverse effects which may occur as result of social pressures on students can lead to their academic failure . Existence of head or body lice or pubis crab louse in a person is termed Pediculosis. Head lice is the most common type of lice infestation especially within the age group of 3-11 years. In America, about 12.6 million people are infected with this infestation every year. Head lice mainly affects school children and their mothers. Its prevalence is by head to head contact and classrooms are the most common places of infestation. Age, gender (more common in girls) and some of the characteristics of hair (color and quantity) are among the predisposing factors. Adult lice can be more often found on the back of the head, neck and behind the ears. Scratching causes inflammation and secondary bacterial infection, scabs and cervical lymphadenopathy . Head lice infestation is different in different regions of Iran from 0.9% to 30% . In an evolution in Shahriar in 2001, head lice infestation among primary school students has been reported to be 15.8% . In spite of the diversity of Pediculosis treatments, it still has a high prevalence in the country and it becomes regularly epidemic . Ineffective lice killing compounds, incorrect use of effective factors, considerations related to toxicology and increase in the resistance of head lice to pesticides are among the causes of this high prevalence . Individuals with any social and economic background are at risk of head lice. This infestation can be epidemic especially in primary schools. In addition, the infestation of this lice is more prevalent in girls than boys and is more common in children than adults. Lice injects its saliva beneath the skin while sucking blood. This inoculation of waste and saliva under the skin causes itchy red bumps. The main complication of lice is severe itchiness which makes patient to become frustrated, tired, stressed and sleepless and this can be one of the causes of academic failure in students. In general, complications of Pediculosis are: 1) Severe itchiness of skin as a result of inoculation of saliva and waste under the skin. 2) Scaling and thickening of the skin caused by excessive scratching. 3) Secondary bacterial skin infection such as impetigo owing to excessive scratching. Head lice sometimes causes swelling and pain in lymph glands behind the ears, head and neck . In Iranian traditional medicine sources, several different oral and topical medicines have been referred to as treatment for Pediculosis. Topical medications used for treating lice must be solvent (solvent for thick material subcutaneous), dryer (to dry thick moisture) and make them come out from under the skin . In Iranian (or Persian) traditional medicine Vinegar is one of the medicines that possesses these qualities. Vinegar refreshes and opens the pores (Jail in traditional medicine) and has the ability for drying (Mojaffif in traditional medicine), penetration, tendering (Mollatif in traditional medicine), stubbing (Mohallil in traditional medicine) and fragmenting (Moghattia in traditional medicine), provides a path for wastes beneath the skin to come out and halts the process of creating Lice . It is possible that vinegar has a direct effect on the removal of lice and loosening the connection of nits on hair. Squill has been known to Egyptians, Greeks and Persians from thousands of years ago with scientific name of Drimia maritima (L.) Stearn and generic name of Squill . Chemical substances creating Squill are glycoside, flavonoids and stigmasterol . Anti-insecticidal properties of Squill are due to its carboxylic acid, zatidine, bufadienolide, scillglaucoside and proscillaridine[12-13]. The effects of high doses of Squill on chromosomes have been evaluated for the use of this plant as Bio-pesticide . This study establishes that the use of Squill as pesticide has greater safety and health properties compared to chemical pesticides. The triflumuron effects of this plant have also been demonstrated . Squill has been defined as a sort of pear-shaped onion in Iranian traditional medicine which grows in the mountains and plains and it is called desert onion for this reason and since it kills rats, it is also famous as “rats’ onion". Its nature is in the third degree of warm and dry . Traditional medicine sources have identified the toxicity of this plant and methods have been provided for treating its toxicity . Different processes have been stated in Iranian traditional medicine sources for modifying Squill and reducing its toxicity and increasing some of its therapeutic effects, one of which is creation of Squill vinegar by employing different methods [17-18]. Different therapeutic effects have been mentioned for Squill vinegar such as “excretion of toxins in the case of topical use” . The aim of this report is clarifying the effectiveness of Squill vinegar in the treatment of head Pediculosis resistant to treatment. Ten female student aged 12 to 14 years old who were residents of the Shahryar in Tehran providence were among the cases of head lice who did not respond to 1% permethrin shampoo and entered the study with their own consent and that of their parents. These individuals were under treatment based on National Lice Care Guideline (2015) before referral in this manner that they made dry hair completely wet with 1% permethrin shampoo, massaged the shampoo thoroughly into the scalp and hair shaft and washed their hair with water after ten minutes. Treatment is repeated after one week . Patients were excluded in case of scratches or wounds in the head . Inclusion criteria included being 12-14 years old, not having wound and also evidence of at least 3 living lice and 10 lice eggs on the scalp with magnification of 10X. One of the cases had severe infection (above 10 lice), Body Mass Index (BMI) above 25 and a curly hair. Patients and their parents were very concerned on admission due to lack of response to previous treatment. Diagnostic criteria include the following: 1) "Suspicious" cases: itchiness in infested population. 2) "Potential" cases: existence of skin lesions with or without infection and topical lymphadenopathy in the area behind the ears and observance of nits in hairy areas. 3) "Definite" cases: observance of nits and lice in addition to mentioned clinical specifications . In this study, observance of lice or nit and detection of infection and its severity were executed by a doctor. Scalp hair, hair on the back of the head, neck and above the ears were examined and results were recorded . All ten examined cases were among “definite" cases of lice infestation. Information about the infested individuals such as name, surname, age, nationality, place of residence, population household, parents’ education, parents' income, population class, number of showers per week and hairstyle were collected using "information form". Health tips such as personal hygiene, regular bathing, combing of the scalp several times a day, regular cleaning and washing of combs, clothing, scarves, hats and other personal items, brushes, washing clothes and linens in hot water for 30 minutes or using washing machine and dryer and regular ironing of clothes especially its seam, avoiding contact with personal items and clothes of infected individuals, not using hats and combs and brushes of others and treatment of all family members were taught to individuals and their families . All patients were female who have greater cold and wet temperament compared to males from the perspective of traditional medicine which leads to greater risk of lice infestation. Topical application of Squill vinegar: it must be used once daily for a week in this manner: initially, hair must become wet for 30 minutes using towel soaked in vinegar in a way that the hair is completely soaked in vinegar. Afterwards, hair must be completely combed with fine-toothed comb soaked in vinegar . The results of the treatment were evaluated by medical examiner during the re-examination on 2nd, 4th, 7th and 14th days. In this study, successful treatment was considered to be lack of observation of lice and nit in physical examination and not having scratch or lymphadenopathy behind the ears and neck and failure of treatment was considered to be observation of the above matters and existence of the above clinical symptoms . From the ten cases who were treated with Squill vinegar, three cases were excluded due to lack of referral. In five cases, infection with lice or nits was not found in any area of the head or ears in 7th and 14 days of treatment. Itchiness was completely resolved in these five cases. The infestation also significantly reduced (75%) in two other cases in 7th and 14th days. Itchiness was also resolved in these cases. Head Pediculosis is among the major health problems in schools in the country . Psychiatric adverse effects which may occur due to social pressures on students can result in their academic failure . On the contrary, we need more effective treatment methods owing to high prevalence of Pediculosis, existence of ineffective anti-lice compounds, incorrect use of effective factors, considerations related to toxicology and increasing resistance of lice to pesticides. This report aims at introducing one of these methods. Patients examined in this study had resistant head lice and did not respond to treatment with 1% permethrin shampoo. Iranian traditional medicine (ITM) considers the cause of lice to be thick moisture which is beneath the skin under the effect of slight heat (to an extent that it does not have the power to release this moisture from pores) and can live with a mild infection. Individuals afflicted with this disease usually consume concentrated foods, are inactive and change their clothes and take shower infrequently. ITM sources enumerate the causes of infestation as follows: Nature of the body sends some of the waste close to the skin for disposal. Some of these materials are not disposed for several reasons such as high concentration and are accumulated under the skin. That is why from the perspective of Traditional Iranian Medicine philosophers, individuals who have poor hygiene or does not change their clothes frequently or have the habit of eating wrong and bad foods (which causes concentrated wastes) are affected by this disease. Therefore, the basis for the treatment of lice in Iranian traditional medicine is reducing the production of thick humidity as well as analyzing and getting rid of the remaining moisture levels under the skin. That is why - topical medications are used along with general treatments such as modifying diet, phlebotomy, and diarrhea and etc. to dry out and extract thick material under the skin. The treatment of lice in Iranian traditional medicine is based on three principles: 1) Enema: or the same public cleansing of body using hygiene instructions (reforming nutrition, clothing, personal hygiene, etc. ), phlebotomy, diarrhea and.etc. 2) Topical measures: which dry and weaken subcutaneous moisture and eliminate them from the pores. These topical measures include measures such as bathing using different materials and rubbing and poultice of a variety of drugs. 3) Oral lice medicines. Based on Iranian traditional medicine, females have greater cold and wet temperament compared to males from the perspective of traditional medicine which leads to greater risk of lice infestation. On the contrary, with the onset of autumn, coldness in this season causes compression and tightness of the skin pores which leads to less erosion of skin moistures and greater retention of material beneath the skin and this causes the higher prevalence of lice in the school season. Overeating, eating different thing with each other, eating concentrated foods like pasta and all sorts of fast food and slimy foods such as milk, poor digestive system and etc. which can be observed more in children and adolescents of these days on one hand and low activity and changing of lifestyle on the other hand can increase the potential of lice infestation . Treatment of lice in Iranian traditional medicine comprises three principles of general cleansing of body, topical measures and oral medicines. Vinegar has a special place among medicines commonly used in the topical treatment of lice because it refreshes and opens the pores and has the ability for dying, penetration, stylization and segmentation, provides a path for wastes under the skin to come out and stops the process of creating lice . It is possible that vinegar has a direct effect on removing of lice and loosening the connection of nits in hair . Given the fact that Squill vinegar has functions stronger than regular vinegar and especially since its topical use has been confirmed by traditional medicine books, in this study, effects of its topical use on the treatment of head lice resistant to treatment with 1% permethrin shampoo were discussed. Head lice is one of the health challenges in the globe and in our country in which its prevalence and resistance to current treatments are increasing for numerous reasons. 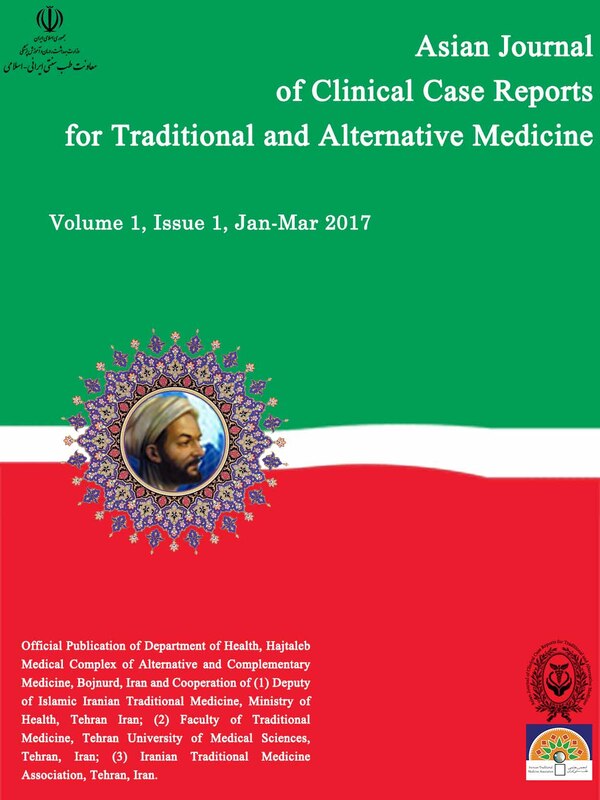 Psychological effects of infestation as well as concerns of families of patients resistant to treatment along with significant side effects of conventional therapies in addition to observations based on occasional shortage of medicines in pharmacies made us search for alternative solutions in the field of Iranian traditional medicine. Increasing attention of the scientific community, emphasis of World Health Organization and public interest in alternative medicine and complementary therapies along with greater effectiveness and fewer side effects and cost of such treatments increase the hope of its success. In this study, one of the traditional medicine treatments which is a typical application of Squill vinegar was evaluated which led to positive results. The authors and researchers in this article designed a research to achieve better and more accurate results in order to evaluate the effectiveness of this medicine on this disease with a greater sample size. The authors have no conflict of interest in the publication of this article. This article is the result of therapeutic activities of Dr. Shahrbanoo Abdolhosseini, Dr. Shahrbanoo Abdolhosseini and Dr. Roshanak Mokaberinezhad and Dr. Vahid Alian Nezhadi contributed in the documentation and development of this article. Dr. Mahboubeh Bozrgi created the herbal medicine used in this research and the basic idea and method of usage in this research are for Hakim Esmail Nazem. The authors thereby thank the patients and their families for their participation and cooperation in this therapeutic process. Saghafipour A, Akbari A, Noruzi M, Khajat P, Jafari T, Tabaraie Y, Farzinnia B. The Epidemiology of Pediculus Is Humanus Capitis Infestation and Effective Factors in Elementary Schools of Qom Province Girls.Qom University of Medical sciences journal 2012; 6(3, 23): 46-51. Oh JM, Lee IY, Lee WJ, Seo M, Park SA, Lee SH, Seo JH, Yong TS, Park SJ, Shin MH, Pai KS, Yu JR, Sim S. Prevalence of pediculosis capitis among Korean children. Parasitol Res 2010; 107(6):1415-19. Dorudgar A, Sadr F, Syyah M, Dorudgar M, Tashakkor Z, Doroodgar M, Prevalence and associated factors of head lice infestation among primary schoolchildren in city of Aran and Bidgol (Esfahan Province, Iran), Journal of The Iranian Institute For Health Sciences Research 2011; 10(4): 439-47. Ansarin H, Tousi, P, Comprehensive Textbook of Dermatology, Tehran, Cultural Institute Teimourzadeh publishing, publishing healer; 2001. Bashiri BH, Eslami G, Fallah F, Valaie N, Prevalence of primary school students’ head lice and lice-killing effect of pollution, Pazhohande 2002; 6(4); 355 -359. Zahirnia AH, Taherkhani H, Bathaie J N, Shampoos of three d-phenothrin 0.2%, lindane and permethrin 1% in the treatment of head lice infestation in elementary school students, Journal of Mazandaran University of Medical Sciences 2005; 15(49): 16-24. Mumcuoglu KY. Prevention and treatment of head lice in children. Pediatric Drugs 1999; 1(3):211-18. Shirvani GH ,Shokravi A, Ardestani M. Effect of designed health education program on knowledge, attitude, practice and the rate Pediculosis Capitis in female primary school students in Chabahar city. Shahrekord University of Medical Sciences Journal 2011; 13(3):25-35. Ibn Sina H. Al-Qanon fi Al-Tibb. Beirut: Alaalami Library; 2005. Aghili Khorasani MH. Makhzan-al-advia (Persian), Correction: Shams Ardekani MR, Rahimi R, Farjadmand F. Tehran: Andishe Zohor pub; 2010. Therese G, Evans W, Pharmacognosy, Translated by Afsharypuor S, Isfahan: Isfahan University of Medical Sciences and Health Services; 2002. Vaklavas C, Chatzizisis YS, Tsimberidou AM.Common cardiovascular medications in cancer therapeutics. Pharmacol Ther. 2011 May; 130(2):177-90. Jha S, Sen S. Sterols in different cytological races of Urginea indica. Phytochemistry 1981; 20(6): 1442-43. Hassid E, Applebaum SW, Birk Y. Azetidine-2-carboxylic acid: a naturally occurring inhibitor of Spodoptera littoralis (Boisd) (Lepidoptera: Noctuidae). Phytoparasitica1976; 4(2): 173-83. Pascual-Villalobos MJ. Anti-insect Activity of Bufadienolides from Urginea maritima. In: Janick J, Whipkey A. Trends in new crops and new uses. ASHS Press; 2002. Bozorgi M, Amin GH, Shekarchi M, Rahimi R. Medicinal Plants of the Genus Drimia: a Review on Traditional Uses, Phytochemistry, Pharmacology and Toxicology. J Tradit Chin Med 2015. Mir MT, Culture and Terminology Iranian Traditional Medicine, Tehran: Tehran University of Medical Sciences; 1997. Salehi M, Setayesh M, Mokaberinejad R. Treatment of recurrent ovarian cysts and primary infertility by Iranian Traditional medicine: A case report. Journal of Evidence-Based Complementary & Alternative Medicine. December 8, 2016. DOI: https://doi.org/10.1177/2156587216681937. Malek Jamshidi L, Kashani Nasiri M, Nabavi M, Mafi M. Under the supervision of Gouya MM. lice treatment guidelines. Tehran: Health Deputy Minister of Health, Treatment and Medical Education, centrally manage communicable diseases; 2015. Tonkaboni MM. [Tohfeh al-Momenin]. Corrected by Rahimi R, Shams Ardekani MR, Farjadmand F. Tehran: Nashre Shahr pub; 2007. Gouya MM. Care instructions lice in the country in 2015. Tehran: Ministry of Health and Medical Education Iran, Department of Health, Center for Communicable Disease Management; 2015. Aghili Alavi Shirazi MH bin MH, Makhzan-al-advia. Encyclopedia of Traditional Medicines, First edition, Volume 1, Tehran: Bavrdaran Press Institute; 2001.